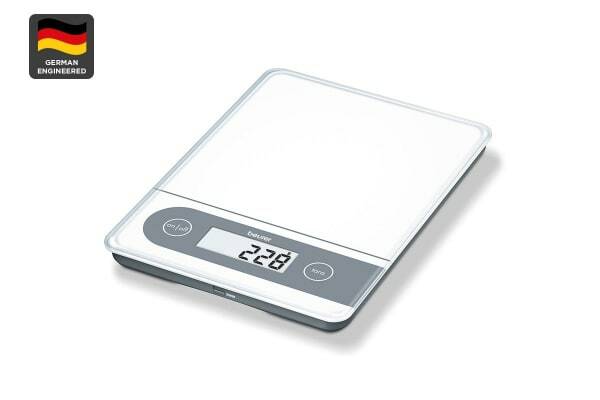 Offering a multitude of impressive functions, the XL Glass Kitchen Scale provides accurate weight measurements for cooking, baking and even parcels! 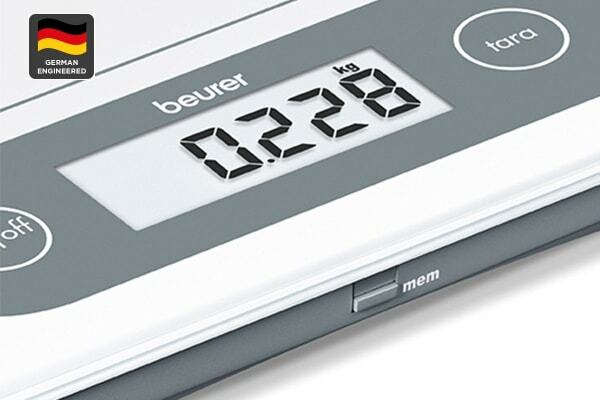 Enjoy the benefits of precise weight measurements with the Beurer Multi Use XL Glass Kitchen Scale with Memory Display. 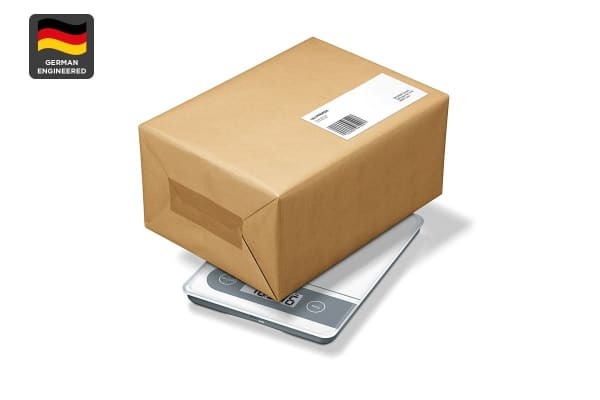 If you’re sick and tired of struggling to weigh your food or parcels, then this handy device is for you. Equipped with an inbuilt memory function and extra-large LCD display, this kitchen scale takes the hassle out of weight measurement.